B.S. Physics, Texas State University, 2008 Brian Johnson will join the Electrical Engineering department in the spring as an assistant professor. For the past five years, he has worked at National Renewable Energy Laboratory in Golden, Colorado as a staff scientist. While there, he has led projects focused on next-generation control strategies and energy conversion circuits for power systems. At the UW, he will continue his research at the intersection of power electronics, power systems, and control systems. Broadly, he explores the challenges of transforming aging electricity grids to ease the integration of renewables, reduce costs, ensure reliable operation and enhance efficiency. To achieve these aims, he develops technologies that translate the economic needs of consumers into solutions and leverages the capabilities of power electronics to develop agile systems with high performance.He currently serves as an associate editor for the IEEE Transactions on Energy Conversion. He was awarded a National Science Foundation Graduate Research Fellowship in 2010. Mo Li joins the College with a joint position in electrical and computer engineering and the physics department. Since 2010, he served as an assistant professor and then an associate professor with tenure in electrical and computer engineering at the University of Minnesota. 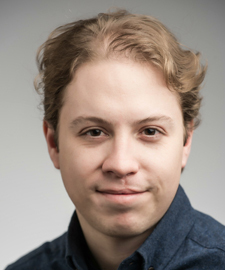 At the UW, he plans to continue his work in integrated photonics, developing new device functionalities and materials for optical and wireless communication and sensing applications. 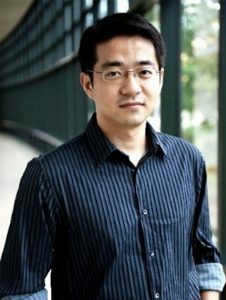 His research also incorporates novel two-dimensional and quantum materials in optoelectronic devices and large scale, silicon-based photonic systems for next-generation communication and computation. 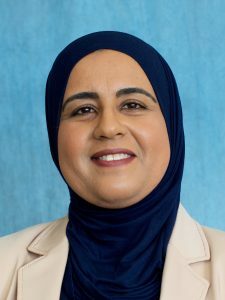 Mo’s distinctions include an NSF CAREER Award in 2014, McKnight Land-Grant Professorship in 2013 and Air Force Office of Scientific Research Young Investigator Award in 2012. Chet Moritz joins ECE in a joint appointment with UW Medicine’s Department of Rehabilitation, where he has been faculty since 2010. 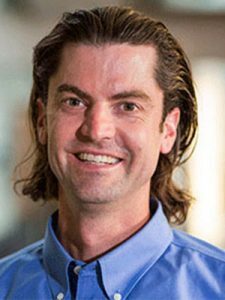 He is co-director of the UW’s Center for Neurotechnology (CNT), a research center that leverages transdisciplinary collaborations in medicine and engineering to design novel devices and methods for improving brain and spinal cord injury rehabilitation. In his research, Chet develops techniques to bypass damaged areas of the nervous system and restore control of movement to paralyzed limbs, promoting recovery and potentially regenerating damaged neural tissue. As a 2013 Allen Distinguished Investigator, he and other faculty received $1.5M to design a brain-computer-spinal interface that blends technology, neuroscience and computation to reanimate hand and arm movements after injury. He is currently collaborating with industry partners to test novel stimulation technologies to restore hand and walking function for people with spinal cord injuries, using technique of engineered neuroplasticity to drive long term recovery in the brain and spinal cord. B.S. 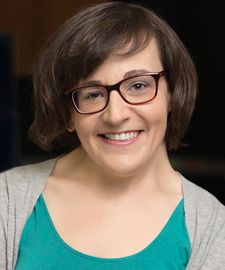 Engineering Physics, concentration in biomedical engineering, Case Western University, 2007Amy Orsborn will join UW this winter as the Clare Boothe Luce Assistant Professor in the departments of Electrical Engineering and Bioengineering. She has spent the last four years as a postdoctoral researcher at New York University’s Center for Neural Science where she helped to develop platforms to stimulate, record and map neural activity across multiple spatial scales.Amy applies neuroscience to improve rehabilitative and restorative therapies and design state-of-the-art prosthetics for people with disabilities such as limb loss, stroke or spinal injury. Her research collects large-scale data sets to develop brain-machine interfaces (BMI) with potential to restore motor-functions and combines brain adaptation with machine learning to make BMIs that provide more natural and intuitive control for patients.In addition to her research, Amy is helping develop a new web-based resource, called STEMM Role Models, aimed to increase diversity in speakers at scientific conferences. Amy has received fellowships from the National Science Foundation and American Heart Association and was named a 2016 L’Oreal For Women in Science Fellow. Lisa Zurk joined the UW last spring as a professor in electrical and computer engineering and executive director of the UW Applied Physics Laboratory (APL-UW). She was most recently a program manager in the Strategic Technologies Office at the Defense Advanced Projects Research Agency (DARPA). She was an APL-UW associate scientist during her tenure at Portland State University (PSU) and a principal investigator in collaborative sponsored research with APL-UW scientists. At PSU, she was a professor of electrical and computer engineering and founded and co-directed the Northwest Electromagnetics and Acoustics Research Laboratory. 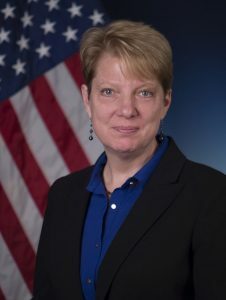 Lisa previously spent 10 years at MIT’s Lincoln Laboratory working on national security programs in the areas of radar signal processing and underwater acoustics for advanced sonar systems. She received the Presidential Early Career Award for Scientists and Engineers, an NSF CAREER award and the ONR Early Faculty Award. She was selected as a recipient for a Murdock Grant, an NSF MRI Grant and was a Fulbright scholar. Rania Hussein joined ECE last summer as a lecturer. For the last ten years, Rania taught courses at all levels in electrical engineering and computer science. Rania held leadership posts in non-profits to promote diversity and the social and educational development of women and youth. She has a record of high ratings from her students, and was a finalist for the distinguished teaching award at UW Bothell in 2017. She previously worked as a research engineer at the Walt Disney Company. She became a senior member of IEEE in 2017.